Skye Gravestones | Lionel James Williams. 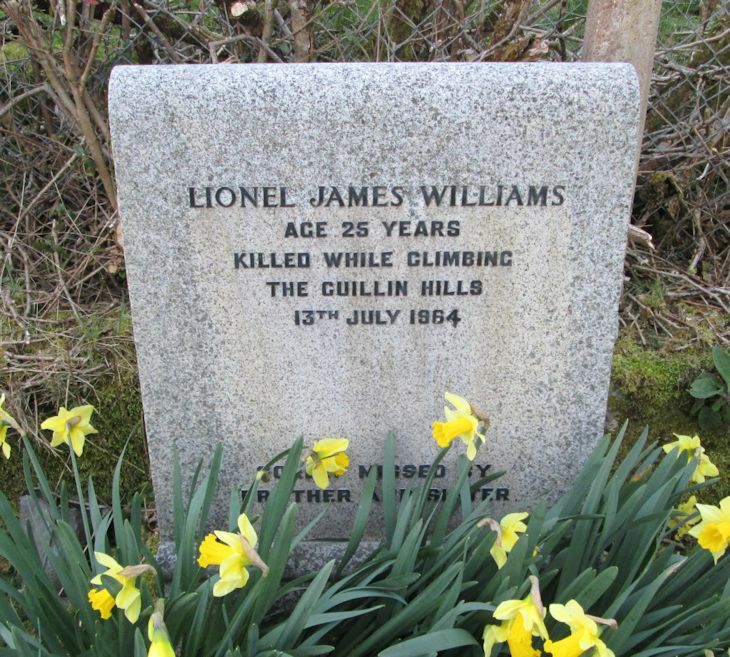 LIONEL JAMES WILLIAMS/age 25 years/killed while climbing/The Cuilin Hills/13th July 1964. Sorely missed by/brother & sister. Picture Added on 08 May 2014.